ATWOOD OCEANICS, INC., announced today that one of its subsidiaries has been awarded a drilling services contract by Hess Corporation for work in the Gulf of Mexico for the Atwood Condor, Atwood’s ultra-deepwater, dynamically positioned Friede & Goldman ExD Millennium semisubmersible drilling unit currently under construction at Jurong Shipyard Pte. Ltd. in Singapore.The contract has a firm duration of 21 months, exclusive of the mobilization period from Singapore to the Gulf of Mexico, and includes two one-year options with pricing subject to mutual agreement. The Atwood Condor is expected to be delivered from the shipyard in June 2012 and will mobilize to the Gulf of Mexico with expected arrival in September 2012. The commitment for the Atwood Condor is expected to run until June 2014, excluding well in progress. With this contract, Atwood’s total revenue backlog increases by $329 million to approximately $1.9 billion, excluding approximately $32 million in mobilization revenue. 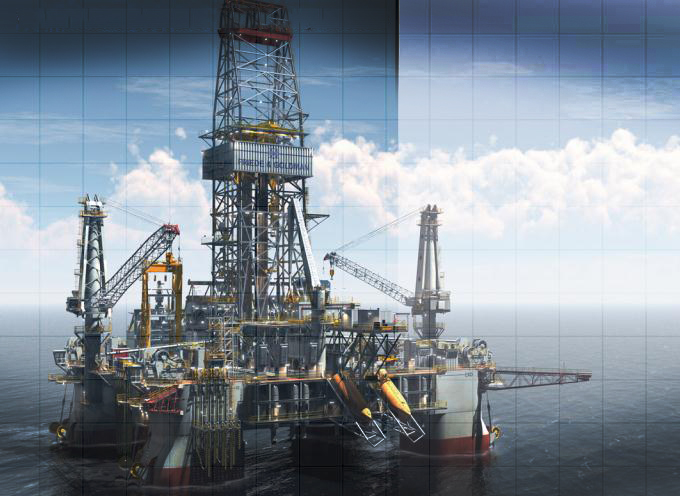 Atwood Oceanics, Inc., is an international offshore drilling contractor engaged in the drilling and completion of exploratory and developmental oil and gas wells. The company currently owns ten mobile offshore drilling units located in the U.S. Gulf of Mexico, South America, the Mediterranean Sea, West Africa, Southeast Asia and Australia, and is constructing an ultra-deepwater semisubmersible, an ultra-deepwater drillship and three high-specification jack ups for deliveries in 2012 and 2013. The company was founded in 1968 and is headquartered in Houston, Texas. Atwood Oceanics, Inc. ordinary shares are traded on the New York Stock Exchange under the symbol “ATW”. Posted on October 17, 2011, in AMERICAS, Drilling, Gulf of Mexico, Houston, Oil & Gas - offshore, Southeast Asia, United States, West Africa and tagged Atwood Condor, atwood oceanics, contract, Drilling, gulf of mexico, Hess Corporation, Houston, Mediterranean Sea, New York Stock Exchange, News, Oil & Gas - offshore, Rig, Southeast Asia, United States, West Africa. Bookmark the permalink. 2 Comments.